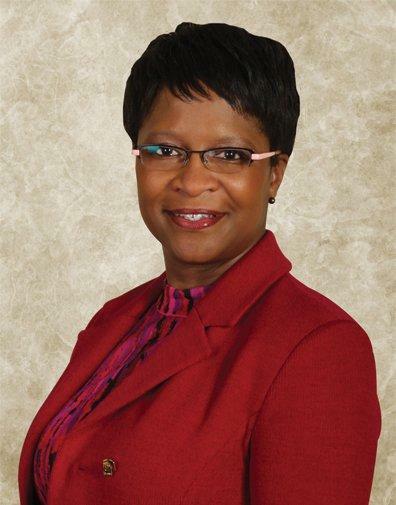 Dr. Patricia A. Thomas, professor of Pathology and Laboratory Medicine at Kansas University Medical Center (KUMC)obtained her A.B. degree from Harvard University. She obtained a masters degree in Biochemistry at the University of Kansas before earning her M.D. from New York University School of Medicine, where she also completed her residency training and appointed subsequently to the faculty. Dr. Thomas was on the faculty at the University of Iowa Hospitals and Clinics, before returning to Kansas and KUMC as a professor and Director of Cytopathology. She is well published with more than 25 years of teaching experience with a variety of students. At KUMC she is a former chair of the Department of Pathology and Laboratory medicine and the former and inaugural associate dean of the Office of Cultural Enhancement and Diversity (OCED) with research interests in the racial differences in breast cancer, biomarkers of disease and health disparities. 1. Broski J, Johnson K, Hicks L, Christwell C, Fears R, Pomeroy M, Thomas PA. Camp PathOLogical: An Innovative Summer School Program for High School Students Addressing Health Disparities, Social Determinants of Disease and Related Clinical/Translational Research (MEP–2013–0182) Association of American Medical Colleges MedEdPORTAL Publications, Washington, DC, 2013. 2. Madden, NA Thomas, PA, Johnson, PL, Anderson, KK, Arnold PM. Thoracic Spinal Metastasis of Merkel Cell Carcinoma in an Immunocompromised Patient: Case Report. Evid Based Spine Care J. 4:54–58. 2013. 3. Dennis, KL, Thomas, PA. Fan, F, Olyaee, M, Primary malignant melanoma of the esophagus: A rare entity diagnosed by endoscopic ultrasound guided fine–needle aspiration Diagn Cyto 40 (5): 462–465 2012SN 8755–1039, 2012. 4. Guise JM, Nagel JD, Regensteiner JG; Building Interdisciplinary Research Careers in Women’s Health Directors. Best practices and pearls in interdisciplinary mentoring from Building Interdisciplinary Research Careers in Women\'s Health Directors. J Women’s Health (Larchmt). 2012 Nov; 21(11): 1114–27.doi: 10.1089/jwh.2012.3788. Epub 2012 Sep 20. PubMed PMID: 22994986; PubMed Central PMCID: PMC3491631.2012. 5. Stasik, CJ, Davis, M, Kimler, BF, Fan, F, Damjanov, I, Thomas, P, Tawfik, OW. Grading Ductal Carcinoma in Situ of the Breast Using an Automated Proliferation Index. Ann Clin Lab Sci 41 (2): 122–130, 2011. 6. O\'Neil M, Madan R, Tawfik OW, Thomas PA, Fan F. Lobular carcinoma in situ/atypical lobular hyperplasia on breast needle biopsies: does it warrant surgical excisional biopsy? A study of 27 cases. Ann Diagn Path14 (4): 251–255, 2010. 7. Tawfik O, Davis, K, Kimler BF, Davis MK, Hull S, Fan F, Khan QJ, O\'Dea AP and Thomas P. Clinicopathological Characteristics of Triple–Negative Invasive Mammary Carcinomas in African–American versus Caucasian Women. Annals Clin Lab Sci 40 (4): 315–323, 2010. 8. Fan F, Smith, W, Wang XY, Jewel W, Thomas PA, Tawfik, O. Angiosarcoma of the breast: a clinicopathologic analysis of cases from the last 10 years. Ann Diagn Pathol. Jun; 13(3):147–50. Epub 2009 Apr 1. 2009. 9. Alter D, Grenache DG, Bosler DS, Karcher RE, Nichols J, Rajadhyaksha A, Camelo–Piragua S, Rauch C, Huddleston BJ, Frank EL, Sluss PM, Lewandrowski K, Eichhorn JH, Hall JE, Rahman SS, McPherson RA, Kiechle FL, Hammett–Stabler C, Pierce KA, Kloehn EA, Thomas PA, et al. Check Sample Abstracts, Am J Clin Pathol 13(2):286–299, 2009. 10. Stevens E, Kilmer E, Davis M, Fan F, Thomas P, Wang X, Damjanov I, Tawfik O. A newly proposed semi–automated method of grading Invasive lobular carcinoma: a unifying concept and correlation with prognostic markers and patient survival. Annals of Clinical & Laboratory Science 39, (1): 25–31, 2009. 11. Tawfik O, Kimler B, Davis M, Stasik C, Lai Sue–Min, Mayo M, Fan F, Donahue J, Damjanov I, Thomas P, Connor C, Jewell W, Smith H, Fabian C. Grading invasive ductal carcinoma of the breast: Advantages of using automated proliferation index instead of mitotic count. Virchows Archiv Jun; 450 (6): 627–36. 2007. 12. Liu X, Inciardi M, Bradley J, Fan F, Thomas P, Smith W, Tawfik O. Microcalcifications of the Breast: Size Matters! A mammographic–histologic correlation Pathologica.99 (2), 2007. Fan F, Smith W, Wang X, Jewell W, Thomas PA, Tawfik O. Myoepithelial carcinoma of the breast arising in an adenomyoepithelioma: a case report and review of the literature. Breast J, 13:203–204, 2007. 13. Tawfik O, Kimler B, Davis M, Stasik C, Lai Sue–Min, Mayo M, Fan F, Donahue J, Damjanov I, Thomas P, Connor C, Jewell W, Smith H, Fabian C. Grading invasive ductal carcinoma of the breast: Advantages of using automated proliferation index instead of mitotic count. Virchows Archiv Jun; 450 (6): 627–36. 2007. 14. Liu X, Inciardi M, Bradley J, Fan F, Thomas P, Smith W, Tawfik O. Microcalcifications of the Breast: Size Matters! A mammographic–histologic correlation. Pathologica.99 (2), 2007. 15. Thomas PA, Kirschmann DA, Cerhan JR, Folberg R, Seftor EA, Sellers, TA, and Hendrix MJC. Association between Keratin and Vimentin Expression, Malignant Phenotype and Survival in Postmenopausal Breast Cancer Patients. Clin Can Res 5: 2698–2703, 1999. 16. Thomas PA, Kirschmann DA, Cerhan JR, Folberg R, Seftor EA, Sellers, TA, and Hendrix MJC. Association between Keratin and Vimentin Expression, Malignant Phenotype and Survival in Postmenopausal Breast Cancer Patients. Clin Can Res 5: 2698–2703, 1999.Thomas PA, Kirschmann DA, Cerhan JR, Folberg R, Seftor EA, Sellers, TA, and Hendrix MJC. Association between Keratin and Vimentin Expression, Malignant Phenotype and Survival in Postmenopausal Breast Cancer Patients. Clin Can Res 5: 2698–2703, 1999. 17. Zaleski MS, Thomas PA, Lenel JC, Raab SS. Telecytology: Diagnostic accuracy with comparison to light microscopy in the bronchial brush specimen. J Surg Pathol, 3: 67–72, 1998. 18. Thomas PA, Raab SS, Lannin DR, Slagel D, Silverman JF. Racial Differences in Breast Cancer: Morphologic and Biologic Characterization of Invasive Breast Cancer in African–American and Caucasian Women. Breast Journal. 4: 1–7, 1998. 19. Wang G, Williamson, Mueller G, Thomas P, Davidson BL, McCray PB. Ultrasound–Guided Gene Transfer to Hepatocytes in Utero. Fetal Diagn and Ther, 13 (4): 197–205, 1998. 20. Grover–McKay M, Walsh SA, Seftor EA, Thomas PA, Hendrix MJC. Role for Glucose Transporter 1 Protein in Human Breast Cancer. Path Onc. Res. 4:115–120, 1998. 21. Raab SS, Robinson RA, Snider TE, McDaniel HL, Sigman JD, Leigh CH, Thomas PA. Telepathology variability on a difficult case consultation service: Utility, diagnostic accuracy and interobserver. Mod Path 10: 630–735, 1997. 22. Niemann TH, Ferguson DJ, Raab SS, Thomas PA. Fine needle aspiration biopsy findings in congenital hepatic fibrosis. A Case Report. Acta Cytol 41: 529–532, 1997. 23. Zaleski MS, Thomas PA, Lenel JC, Raab SS. Telecytology: Diagnostic accuracy with comparison to light microscopy in the bronchial brush specimen. J Surg Pathol, 3: 67–72, 1998. 24. Thomas PA, Raab SS, Lannin DR, Slagel D, Silverman JF. Racial Differences in Breast Cancer: Morphologic and Biologic Characterization of Invasive Breast Cancer in African–American and Caucasian Women. Breast Journal. 4: 1–7, 1998. 25. Wang G, Williamson, Mueller G, Thomas P, Davidson BL, McCray PB. Ultrasound–Guided Gene Transfer to Hepatocytes in Utero. Fetal Diagn and Ther, 13 (4): 197–205, 1998. 26. Grover–McKay M, Walsh SA, Seftor EA, Thomas PA, Hendrix MJC. Role for Glucose Transporter 1 Protein in Human Breast Cancer. Path Onc. Res. 4:115–120, 1998. 27. Raab SS, Robinson RA, Snider TE, McDaniel HL, Sigman JD, Leigh CH, Thomas PA. Telepathology variability on a difficult case consultation service: Utility, diagnostic accuracy and interobserver. Mod Path 10: 630–735, 1997. 28. Niemann TH, Ferguson DJ, Raab SS, Thomas PA. Fine needle aspiration biopsy findings in congenital hepatic fibrosis. A Case Report. Acta Cytol 41: 529–532, 1997. 29. Zaleski MS, Thomas PA, Lenel JC, Raab SS. Telecytology: Diagnostic accuracy with comparison to light microscopy in the bronchial brush specimen. J Surg Pathol, 3: 67–72, 1998. 30. Thomas PA, Raab SS, Lannin DR, Slagel D, Silverman JF. Racial Differences in Breast Cancer: Morphologic and Biologic Characterization of Invasive Breast Cancer in African–American and Caucasian Women. Breast Journal. 4: 1–7, 1998. 31. Wang G, Williamson, Mueller G, Thomas P, Davidson BL, McCray PB. Ultrasound–Guided Gene Transfer to Hepatocytes in Utero. Fetal Diagn and Ther, 13 (4): 197–205, 1998. 32. Grover–McKay M, Walsh SA, Seftor EA, Thomas PA, Hendrix MJC. Role for Glucose Transporter 1 Protein in Human Breast Cancer. Path Onc. Res. 4:115–120, 1998. 33. Raab SS, Robinson RA, Snider TE, McDaniel HL, Sigman JD, Leigh CH, Thomas PA. Telepathology variability on a difficult case consultation service: Utility, diagnostic accuracy and interobserver. Mod Path 10: 630–735, 1997. 34. Niemann TH, Ferguson DJ, Raab SS, Thomas PA. Fine needle aspiration biopsy findings in congenital hepatic fibrosis. A Case Report. Acta Cytol 41: 529–532, 1997. 1. Thomas PA, editor, Breast Cancer and its Precursor Lesions: Making sense and making it early: Running title: A Pathologist’s contemporary guide to diagnosis and prediction of breast disease, Humana, 2010.